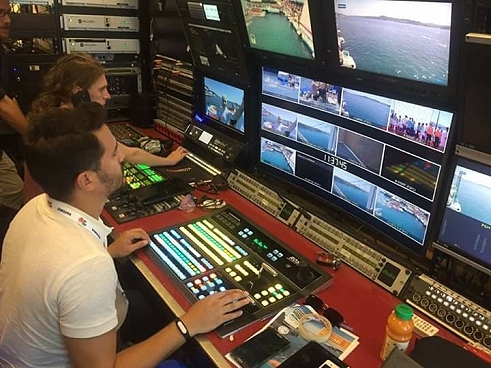 Istanbul: ACTAMEDYA provides OB van for live broadcast. 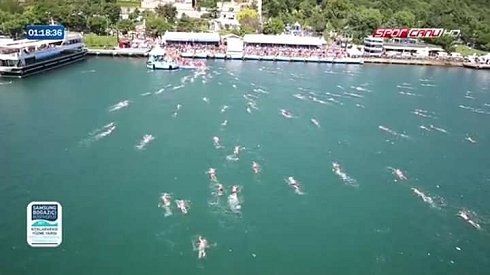 Istanbul, July 2017: More than 2,000 swimmers from around the world have taken part in the 29th Samsung Cross-Continental Swimming Race from Asia to Europe across the Bosphorus Strait, with the television coverage being produced by ACTAMEDYA. The company employed 35 people to produce the live broadcast which was aired on Ntvspor for three hours. RF systems were used for signal transmission of the 7,5 kilometers course; wireless drone systems installed on the boats provided the HD image transmission. Besides using two drones and one wireless camera, a 5-camera OB van was positioned at the start of the race and an 8-camera OB Van was deployed at the finish point. The graphics and Kj services were also provided by ACTAMEDYA. ACTAMEDYA, has been supplying wireless broadcast system services and special camera services for sports events such as marathons, cycling tours, motorcycle events and rallies. The company has provided the live broadcasting of events that require a wireless broadcast infrastructure for many events including the Istanbul Marathon (2012 to 2016), the Istanbul Half-Marathon (2015-2016), the 2016 Turkcell Marathon, the 2015 Adana Marathon, and the Presidential Cycling Tour (2015-2016).